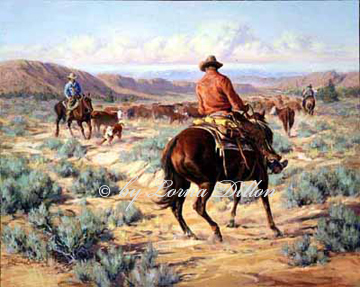 "On this gathering, the cowboys have had a lot of rank little yearlings. This little maverick is just one more and will soon be a much more contented steer. "Many people have asked me if this location was in eastern Washington. And, while I always want to be agreeable, I must admit my imagination was largely influenced by many years spent in the deserts of Arizona and So. California."